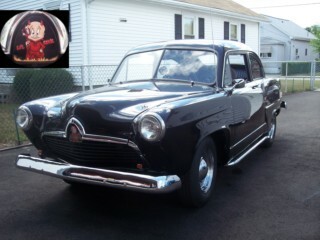 Lots of other Ford,GM,Mopar,and plenty of orphan cars,coupes sedans pickups and a few converts all from 30's- 60's. 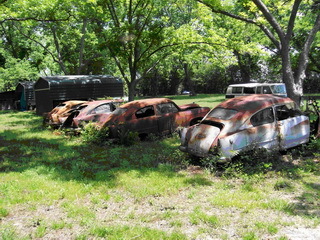 All of these cars are sold or no longer available. 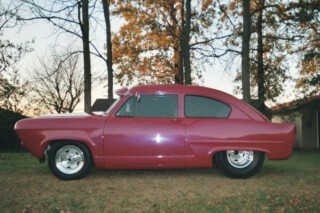 1952 Henry J w/Continental Kit. Body is very solid at rear quarters where most Henrys fail. fit excellent. Hood rubber is missing but does have the hood ornament. Rear and side glass is good. The driver's side windshield is cracked. ugly cool !! Located in Sioux City, Iowa. 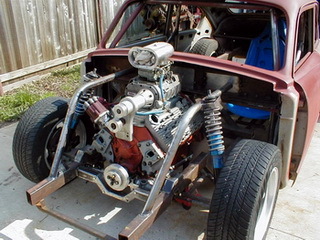 The chassis is a custom built 2x3 box tubing with a Mustang II front suspension. Mickey Thompsons as are the rears 31x18.5x15 mounted on Convo Pro wheels. signals work. It is a very nice rare little car. And 100% steel. Dan Brundage has a Henry J outside an Auto Repair shop he needs to move off the property. Dave the AutoBody shop owner and Dan do not what to see it Scraped. Dan's offering the J up for sale. Dan has the title. 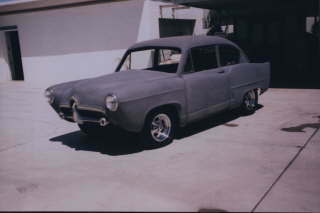 A 1951 Henry J project car. The original 4 cyl Jeep engine has been carefully rebuilt and includes manifold and carb, distributor, new fuel pump, needs a freeze-plug, but ready to install and run. Transmission and driveline all complete and all body parts, radiator, clutch, flywheel are in the car including misc items like original radio. It was kept under roof for the most part last few years. Frame is in great condition. I will be happy to send additional pics upon request, and answer questions you might have. 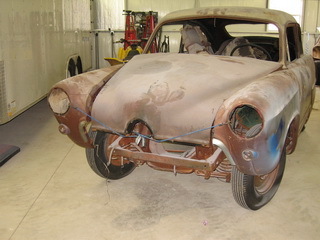 All in all, this car is complete and in very restorable condition. Engine work and seat covers have been done. Buyer will have to pickup or arrange transfer and pay transport costs. 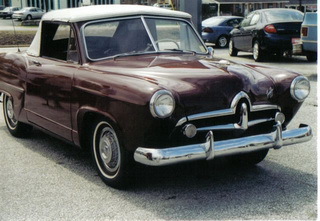 1953 HENRY "J". IT HAS A 400 CI CHEVY, 350 AUTO TRANS WITH 2500 STALL CONVERTER, B&M SHIFTER, AIR CONDITIONING, SANDERSON HEADERS, PETE JACKSON BELT DRIVE, FORD REAR-350 GEARS, NEW PAINLESS WIRING, 57 CORVETTE GRILL, CRAGER MAGS WITH COOPER COBRA TIRES - 195:60 FRONT / 235:60 REAR. PAINT IS BASE COAT/CLEAR COAT , BLACK WITH MULTI-COLOR FLAMES OF ORANGE, GREEN, YELLOW CANDY METAL FLAKES. 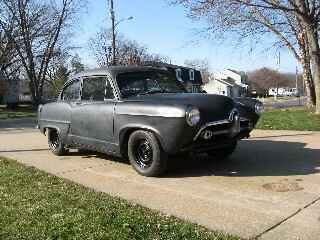 CAR HAS ORIGINAL FRONT END, ALL NEW DRUM BRAKES, NO POWER STEERING. MULTI TROPHY WINNER ! CAR IS LOCATED IN BRISTOL CT.
2x4 manifolds, lots of polished alumnium. Project Car - Sitting on S-10 Frame with Turbo 350 Trans, Exhaust System with Headers, New Aluminum Radiator, New Windshield Glass and Rubber, New Firewall and Floor. It has a perfict body The engine runs very good It has 75k miles on the odometer. Rick Miller - Marion, Ohio Forl sale or trade Street Henry J. 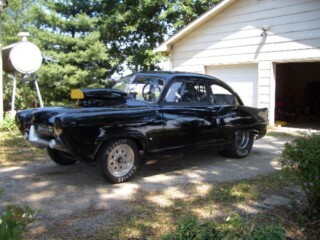 Has a tube frame with a Mustang II front end, rack & pinion, four link suspension with a Olds rearend and 4:88 gears, four wheel disc brakes, set up for bbc or sbc, new Coan pro tree powerglide with new Coan 5500 stall convertor and new flywheel and trans shields, all new fuel system, new aluminum radiator,new elect. fan, new trans cooler, all new electrical system and gages, two sets of new Hooser slicks, custom made headers for bbc, new CSI elect. water pump for bbc, new 1050 Dominator carb and much more new stuff with it.The motor in it was a bbc that I got from a friend that said it only had 60 passes on it, it was the only thing that was used and it let loose just after 4 passes but everything else is there, all you have to do is either repair the engine or just drop yours in to go racing. The Henry J is located in Marion, Ohio. Tony has another Henry he has decided to sell. This Is an odd car In between the model years change. Rare car It's complete except for 2 headlights,front bumper radiator and engine block.trans are still there and rolls just fine. Very solid car way underpriced at $3500. 1951 HenryJ- 6Cyl with Overdrive. 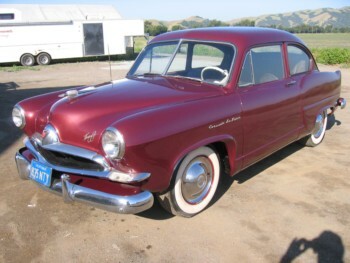 Considered to be the Corsair Deluxe of 1951. This car has been a calendar car for KFOCI and was pictured on page 251 of the Kaiser-Frazer Book by Richard M. Langsworth "The Last Onslaught on Detroit" published in 1975. This car still has the same paint that is shown in the 1975 photo. If you have access to this book and you compare these photos to the 2006 photos you may notice the small round KFOCI decal in the right rear window. It's the SAME one. 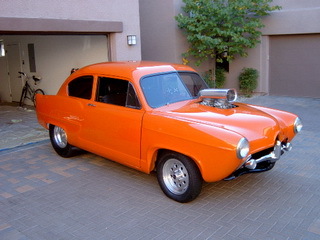 The car was shown at the Golden, Colorado International Convention and was placed third out of approximately thirteen entries. The care scored Silver and would have scored Gold with a few minor adjusments such as the locking door handle placed on the passenger side instead of the driver's side. The care is also rare in the fact that the rear seat folds down for cargo space and also has a trunk lid.This car has recently been used as a daily driver and is sure to draw a crowd wherever she may be! Here is the info on the HenryJ. SOLD $15,000.00. Anything else that you would like to know , please ask. 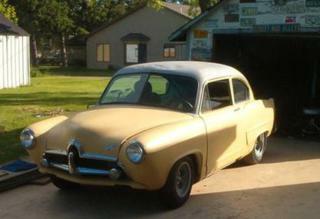 For Sale A one of a kind Henry 1951 J.
I am selling four Henry J's. Facing the front of the cars with the grey car on your left, the far right car is an Allstate car. 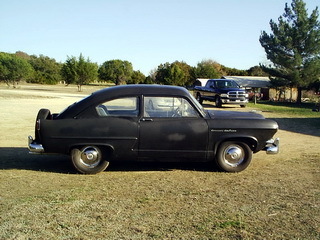 The grey car, my Dad bought new for his mother, and was going to restore it. Dad is now 86 and would like for someone that has the time and energy to restore or have the parts to use on theirs. We are looking for a decent offer on all four. The other three he bought to use for parts. Dad said the drive trans are good. We also we have a motor. We would like to sell all four cars (package deal only) if anyone is interested. The car is looks to be in Stock codition and original. It even appears to be the original paint but black is not an original color. 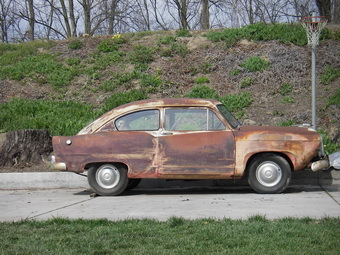 The only rust on the car is the surface rust underneath. The body/floors are 100% rust-free. The pics will speak for themselves. All fluids (except oil) were removed before storage (gas, coolant, brake fluid) so there was onsiderable effort involved in caring for the long-term condition of the vehicle. The motor sounds smooth as it should with only 24,000 miles. "The brake system has been fully reconditioned -- the car is fully roadworthy, reliable and ready to enjoy and show" We're guessing that the car has been in storage for at least 30 years. I've driven the car around the block and all else seems to be good. I am asking $12,000 for it. The car is located in the SW suburbs of Chicago. 1. 1987 2 wheel drive S-10 Blazer subframe/ V-8 mounting kit, including shorty headers. 4. New custom recessed firewall. Built around small block Chevy. Engine in pictures not included. 5. 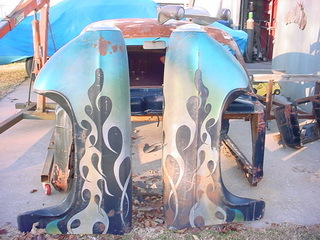 Brand new fiberglass front fenders and rear quarter panels. 6.The new rear tires, 3 core aluminium Griffin radiator. The body is solid and that the doors and back end need a little body work. Six cylinder with Trunk and Continental Kit. Runs good with new Carb and new Starter. Not a perfect car but a very nice one. 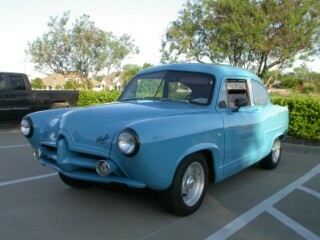 I bought this car to street rod it. My wife said the car is too nice to street rod so I found another one to street rod. 3 speed manual transmission (w/ OD), Rearend. Worth the price for engine or trans. 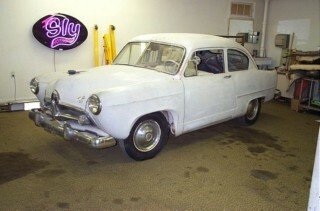 1951 Henry J all fresh with less than 300 miles. Way to much to list !! 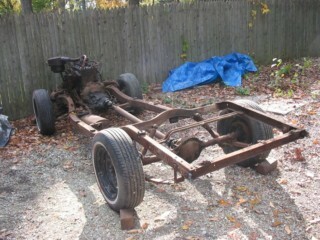 2x4 Shelton frame Chevy 468 Big Block with all the good stuff inside, 500 plus HP Comp, TRW, Milodon, MSD etc!! Built Turbo 400 w 2800 Stall converter. Ford 9 " Posi 31 spline Strange axles big brakes. Narrowed inside an Olds style housing. All new Front End Steering box Rotors Calipers etc!! 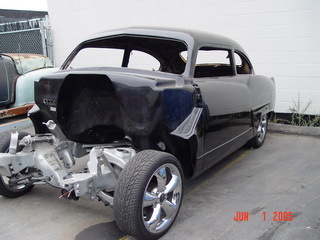 Everything on this car is new or rebuilt - can you say right now fresh!!? All glass is good windows work new Front Glass and Rubber Live Ladder Bars Tilt Front End Fuel Cell new Exhaust etc! etc!! 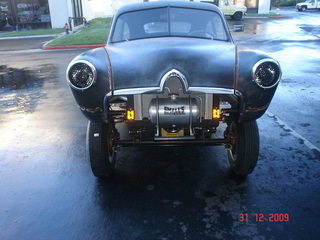 No expense was spared to build this 2675 lb Gasser, its very quick!!!. I can email detailed list of work done and parts used. 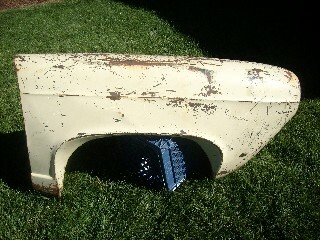 This car is all steel and needs very very minor prep for paint. Simply just to much to list here $39k spent to build - a steal @$25k obo get it while it lasts. I have a complete strut front end to sell. I am going straight axle on my race car. All this is new stuff. I am going to cut the entire front stub off behind the kick up and the down bars behind the upper strut mount. You get aftermarket struts, fox mustang spindles, Ford Courier brakes, narrowed Fireo rack and pinion and tubular control arms with Heim ends. Complete rear suspension, 9" Ford housing narrowed to 43 7/8" (48 5/8" overall to where wheels bolt on), 31 spline axles (4 1/2 bolt pattern), complete aftermarket disc brake kit (weld on), 4 bar set up (14" bars with Heim ends), new panhard bar, coil springs with upper and lower mounts, center section with 350 gears...not posi, 31 spline mini spool. In Okla City area and should be picked up as the shipping would be high. Fframe off, new floors and rockers. Mustang II suspension, 11 inch brakes, 8 inch ford rear, all new glass, auto meter gauges, new wiring and electric wipers. 350 checy motor and transmission. Paint and body by High Tech Unlimited - Crushed Orange. Engine by Big Al's Toy Box. - 355 ci. in. 800 h/p with all the right goodies. Every thing is top drawer, 477" B1 Mopar with 890hp and then two shots of NOS. Extensive body work, all steel body. This is what a Henry J should have looked like from the factory. 440 cubic inch ( 450+ h. p. ) ; 727 torque Flite with reverse manual valve body; Comp. Cam matched valve springs and lifters Camero front clip, S & W Race cars rear frame narrowed 12 bolt Chevy rear, Steel axles and G. M. Posi. All metal car. Long forgotten project that has been stored since the 80`s in a warehouse with the 20 years of dust on it. PM for more pictures or further info and I will do my best to answer. Cars are located 2 hours north of Seattle in Surrey British Columbia Canada 5 minutes from the border. Henry J parts For Sale that maybe someone could use. 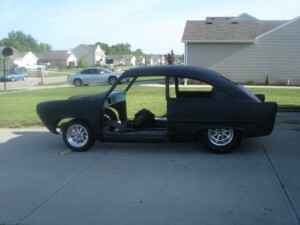 I want $150 for each quarter panel, $100 for each front fender, and $100 for each door. I am located in Colorado Springs, Co.
$$16K invested. Make a trade offer. Collectible vintage DRIVERS only. A PILE of New parts in, on and w the car. ITEMS W * ARE AVAIL. AT ADDITIONAL COST. One of seven conv's made in Kansas City, needs nothing. Mileage 5000, No Longer Available. 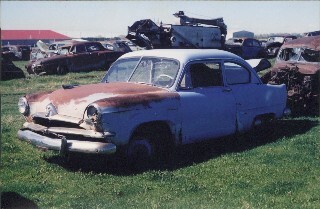 1951 Henry J missing emblems and chrome,was in a field, beed blasted and left there! Allstate motor and trans goes with it! $ 3000 is the what the car and the shipping cost me from out west . 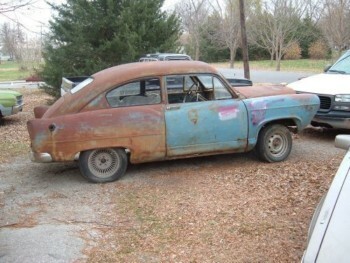 For sale 1952 Henry J Corsair Deluxe, Pretty good body, has some rust in rockers, and floors have been bad patched up. 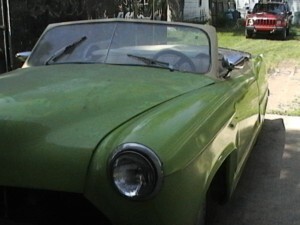 Has trunk,rear mount tire, original hub caps and emblems, glove box, working turn signals,horn, and lights. Runs and drives with a 2.8 ford V-6 and auto trans. It was put in around the 70`s. New battiery, tires, and daul exhaust. Brakes work good. I drive it around town and in the country. The guy I got it from had thrown away original seat and put buckets seats in it. 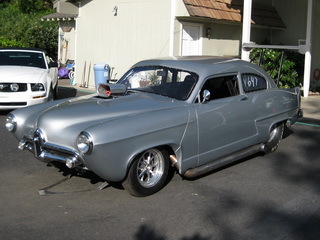 Make great gasser or street rod or leave it as it is and drive it. Asking $4,500. Clear Texas title. Complete 6 cyl. 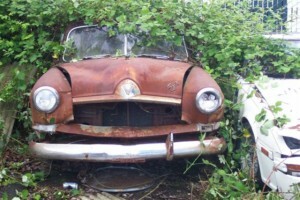 1953 with rusted out floor. 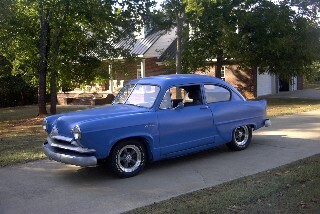 For Sale,1952 Henry J with 3k on 4 cyl. drivetrain.disc brake conversion, overdrive,12 volts,more. much more, stock parts are also available. Call for a detailed description after 7:30 est.$8,800.00. 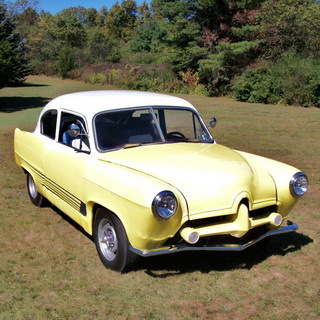 1952 Henry J Corsair with title. Original running gear. Solid steel body. Runs & Drives great. 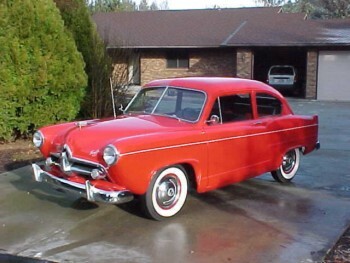 Older build on a very nice early 1951, no-trunk car. Done in mid-80's. '82 350/350. Pad numbers indicate its from 3/4 ton truck/van. Should be 4-bolt mains. Totally stock and running very well. Camaro rear with road gears. Typically 18-20mpg @65mph.. Drives really well. I have completed several extended trips of up to 800 miles troublefree. Have other interests, now, the only reason for selling. Near Dallas, TX. Fly in/drive home. Thanks for looking. Trades will be considered. Lightning or 454SS truck. Harley's up to even trade. Consider trade value at $13,500.00. Way to much to lists Visit the More pictures link for info. A sweet 1952 Henry J Street rod. It has been built from the ground up and is all metal. ot find anywhere. There is not much more to list on this car. It was built from the ground up by me and took 10 years to do it. As you can see from the pics it has a very nice House of Kolor Candy Apple Brandywine paint job on it. I have had this Henry J for a few years and it has just been sitting around in the way for about that long as well. I bought it on ebay without much History. It is worth something but I have no idea how much so I will entertain any and all offers. I believe the glass is all there and there are a few other parts that are not shown in the photos. This thing has a Nova front clip on it and a Camaro 12 bolt rear end with leaf springs I believe. There is an original dash panel form my other Henry J that I did not use and it is stored inside this one. 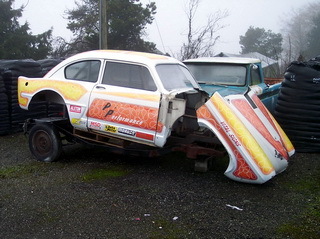 The car has been chopped as well and has a tilt front end. This car does not have a trunk. If you need any more info. etc. just let me know. I will look for some additional pics.